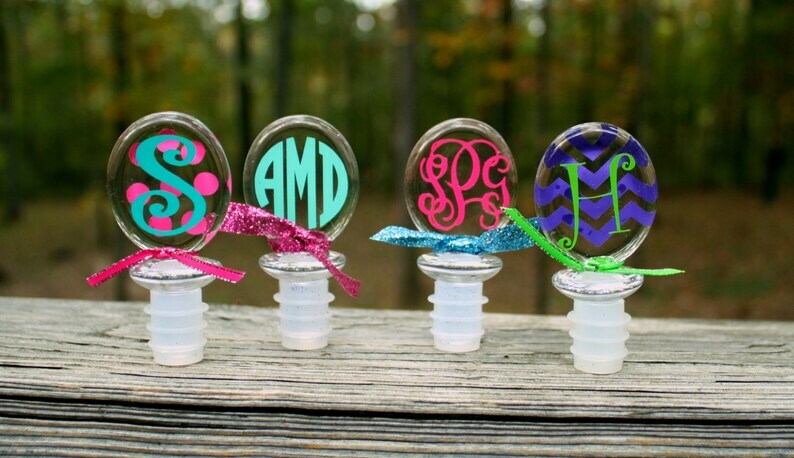 These monogrammed wine bottle stoppers make the perfect gifts! 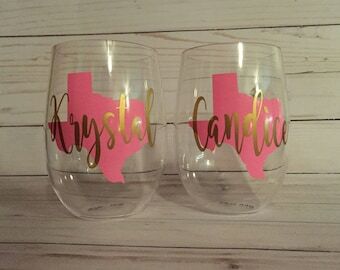 They make a perfect party favor, hostess gift, stocking stuffer, bridesmaid gift, thank you gift, or just the perfect gift for a wine lover! 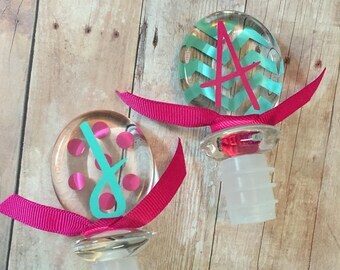 This listing is for one monogrammed/personalized acrylic wine bottle stopper. 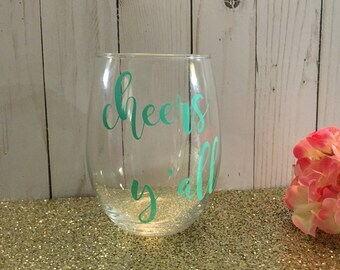 This oval shaped, acrylic wine stopper measures 1 5/8 x 1 1/4"" x 3 1/8" and as seen in the pictures, they can be customized with a single initial, triple monogram, chevron, and polka dots! We use only high quality outdoor vinyl that is not going to peel off. Hand wash only. Feel free to contact me with any questions! Thanks for looking!